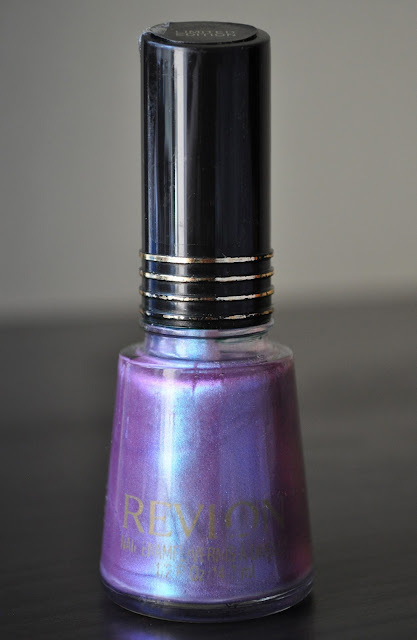 So Lonely in Gorgeous: Laser Lavender, Revlon Nail Enamel! Revlon's Laser Lavender is a semi-sheer, lavender with sky blue shimmers, and a greenish-turquoise duochrome finish. The formula is thin, and requires three to four coats, but the enchanting color of Laser Lavender is well worth the effort. 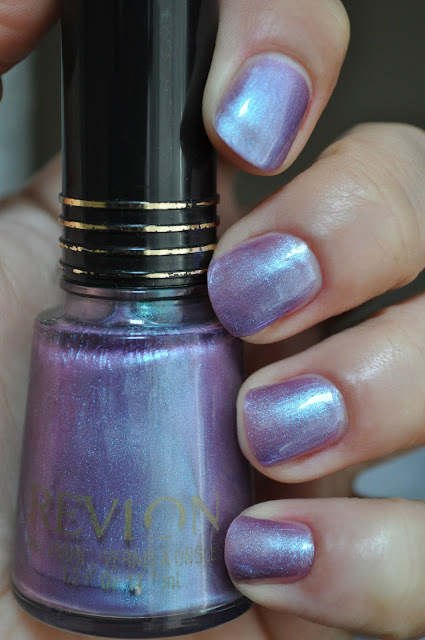 With flash (the nail of my ring finger is a little shorter, due to a dicing accident six days ago...ouch!). 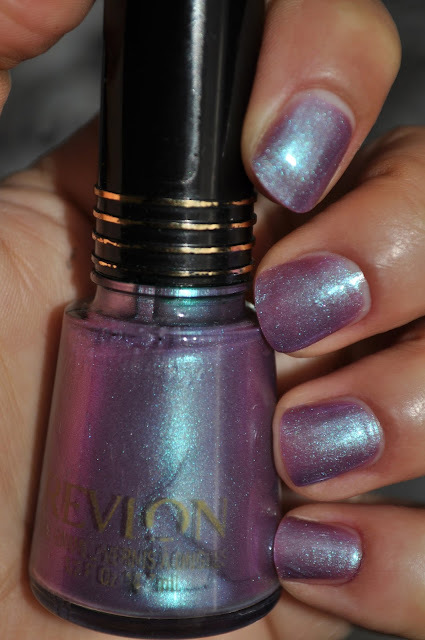 Sadly, Laser Lavender was a limited edition release from way back when, however, you may be able to find it online. I had this one as well! But mine dried up and I tossed it. (before I knew the amazingness that is NP thinner) Wow, seeing it is such a blast from the past! Oh no! I've never had a polish dry up on my, I just jinx myself...knock on wood! Laser Lavender : i have a bottle of this. never used it though. most of the 'laser' is at the bottom of the bottle until i shook it up! Laser Lavender is even prettier in person.